-Erasing the standard neck block and heel of the neck. This innovation offers maximum playability with unfettered access the entire fretboard. 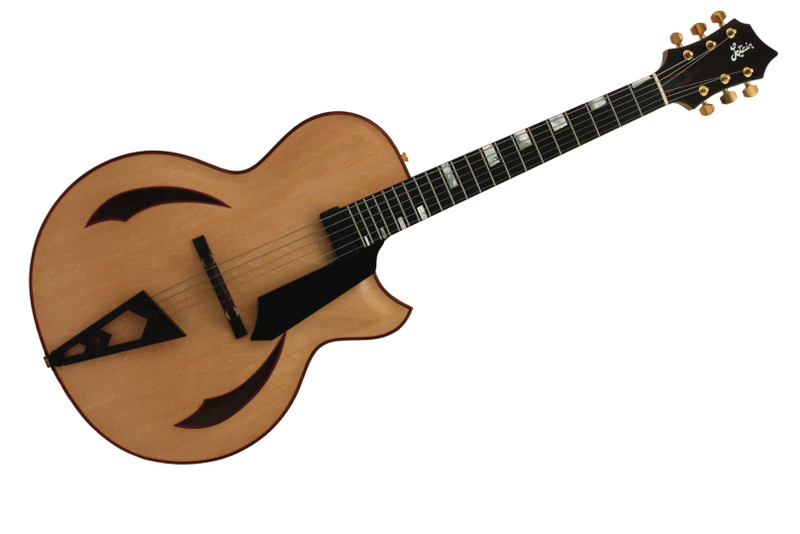 -25″ / 63.5 cm scale Archtop guitar. -The tailpiece is made of brass, walnut, paduk brass.